In December 2016, we released a final report highlighting the accomplishments of the Pathways Fund, a five-year fund with the goal of strengthening the bridge between education and workforce development in order to foster opportunity and access for low-income youth. As part of the SIF, the Pathways Fund provided financial and strategic support to help increase the reach and impact of six innovative nonprofit organizations working toward this collective mission - College Advising Corps, College Summit, iMentor, Single Stop, Year Up, and YouthBuild USA. The first of our six Pathways Fund organizations is College Advising Corps. 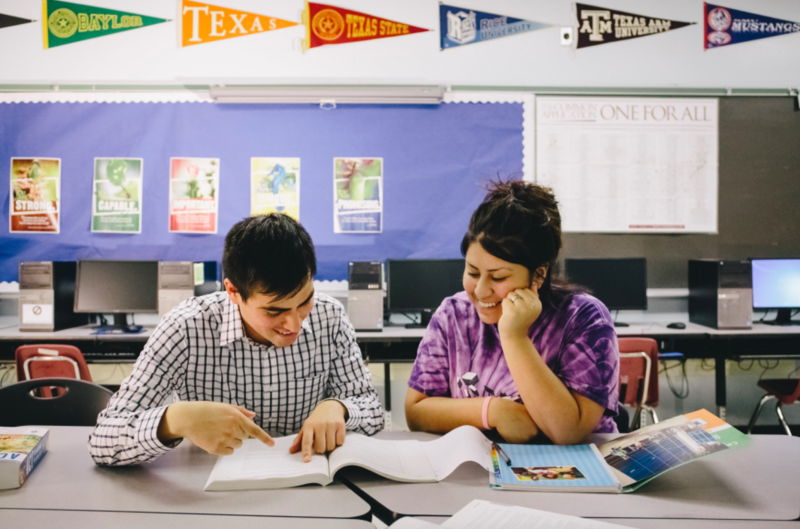 College Advising Corps (CAC) works to increase the number of low- income, first generation college, and underrepresented high school students who enter and complete college. To deliver on this mission, CAC hires, trains, and places recent college graduates to serve as full-time college advisers in underserved high schools where they help students and their families navigate the college admissions and financial aid process. Communities Served: CAC serves high school students in need nationwide - in the 2015-2016 school year, CAC advisers were placed in 531 high schools in 14 states, through 24 different university partnerships. CAC students are 30% more likely to apply to college/university. CAC students, who come primarily from low-income backgrounds, persist to their second year of college at a rate of 74%, 2% higher than the national average of 72% and 7% higher than the 67% average for low-income students. Organizational Structure: In 2013, CAC successfully transitioned to become its own independent 501c3, spinning out of the University of North Carolina. This change enhanced the organization’s ability to realize its potential for scale and impact. With New Profit's support, CAC successfully built a set of operating principles, processes, and functions from the ground up, as well as a team with dedicated program, development, nance, HR, and evaluation staff. Board of Directors: As an independent organization, CAC developed a strong, engaged inaugural board of directors, including Peter Grauer, Chairman of Bloomberg LP; Erskine Bowles, former University of North Carolina system president; and Joaquin Castro, U.S. Representative from Texas. Scale: CAC grew its footprint significantly; in the 2014-15 academic year, the organization added 81 new “near peer” advisers - a 22% increase from the prior year. Evaluation: Through the SIF grant and with coaching from New Profit’s Director of Evaluation, CAC engaged in a randomized controlled trial and quasi-experimental study, which will significantly raised the organization’s level of evidence. Additionally, the organization expanded its internal measurement and evaluation capacity, including hiring a Director of Evaluation.